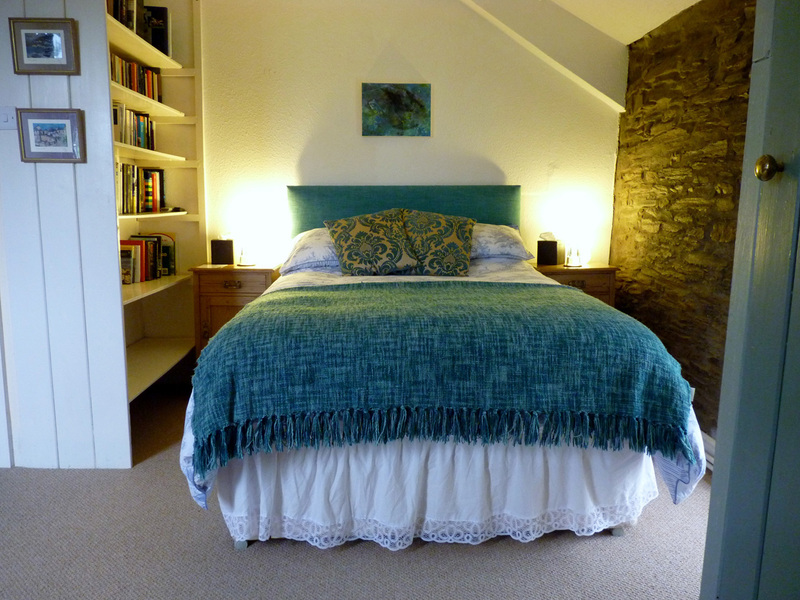 We welcome visitors to two comfortable double bedrooms in our farmhouse home, Pen-y-banc. 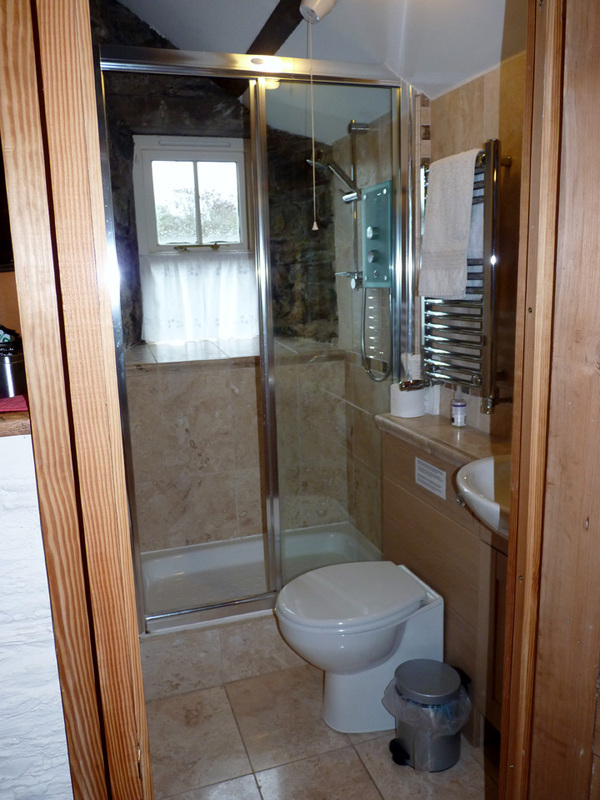 Both are simply furnished in a country style and feature exposed stone walls. 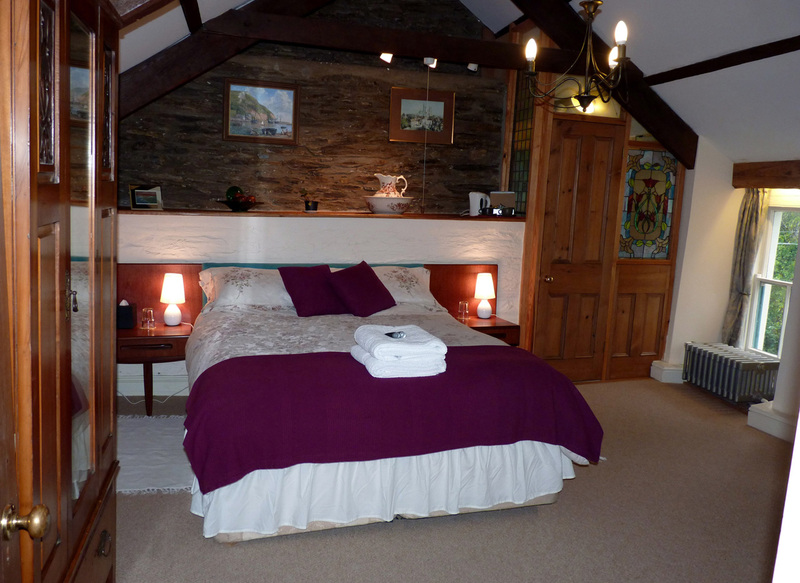 Taliesin is a large ensuite room with one double bed plus one optional single. 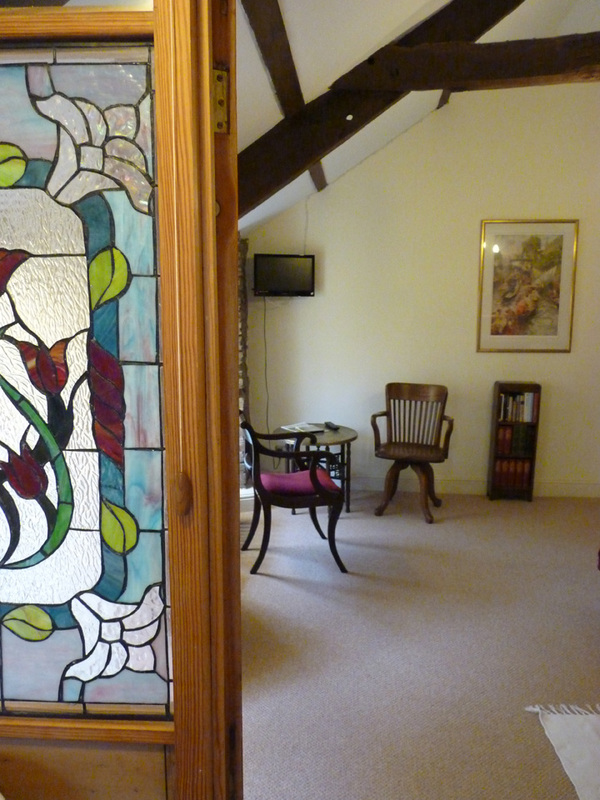 It has a lofted ceiling with attractive timber beams, stained glass panels and double windows to the side. 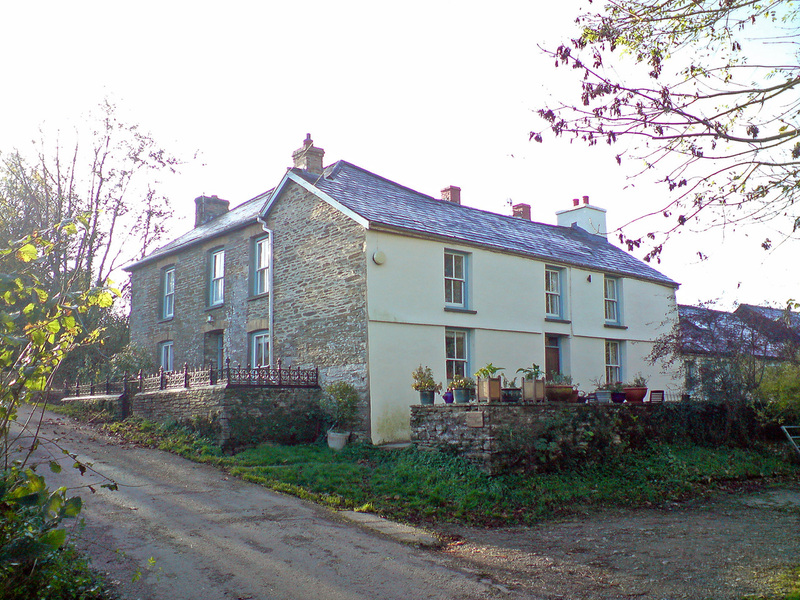 Gwion is next door and has exclusive use of a bathroom a few steps away. 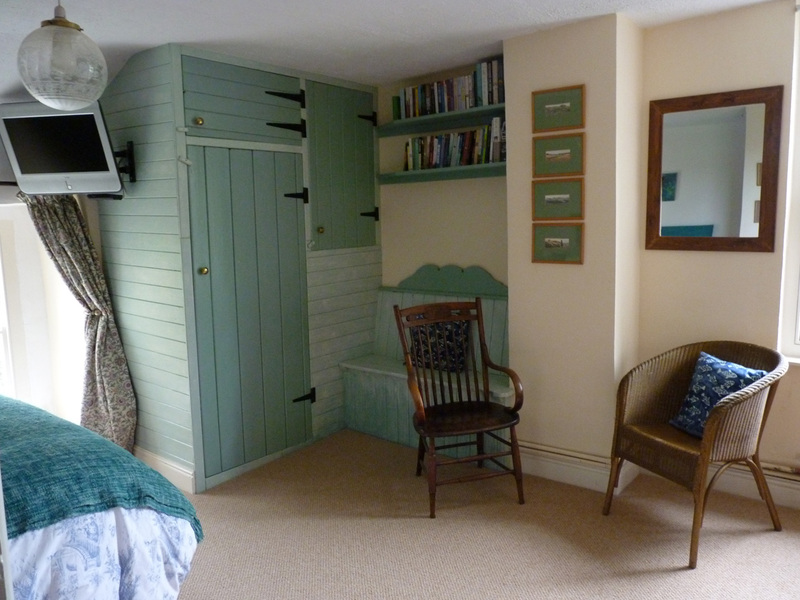 This room has a double bed, with soft blue green panelling and double windows to the front and side. Both of our guest rooms are up one flight of stairs with several extra quirky steps, so may not be suitable for visitors with limited mobility. 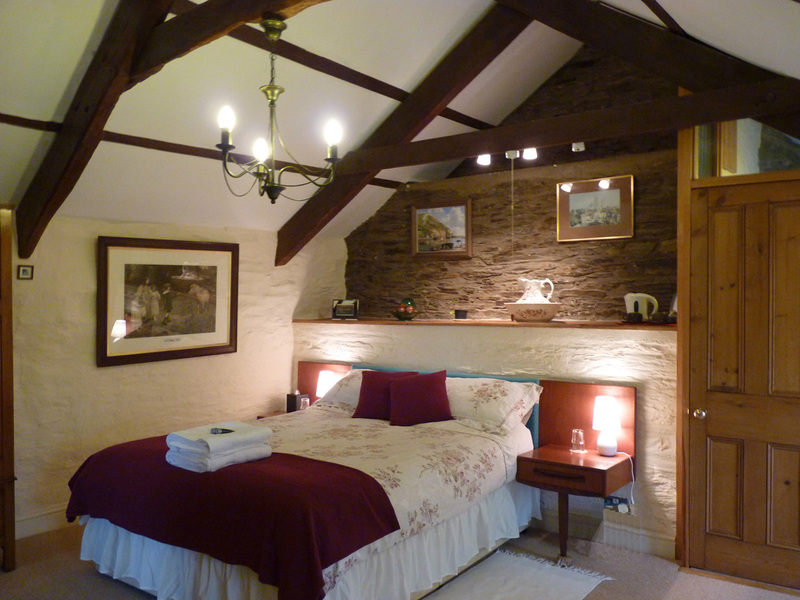 Tea and-coffee making facilities are provided in each room. 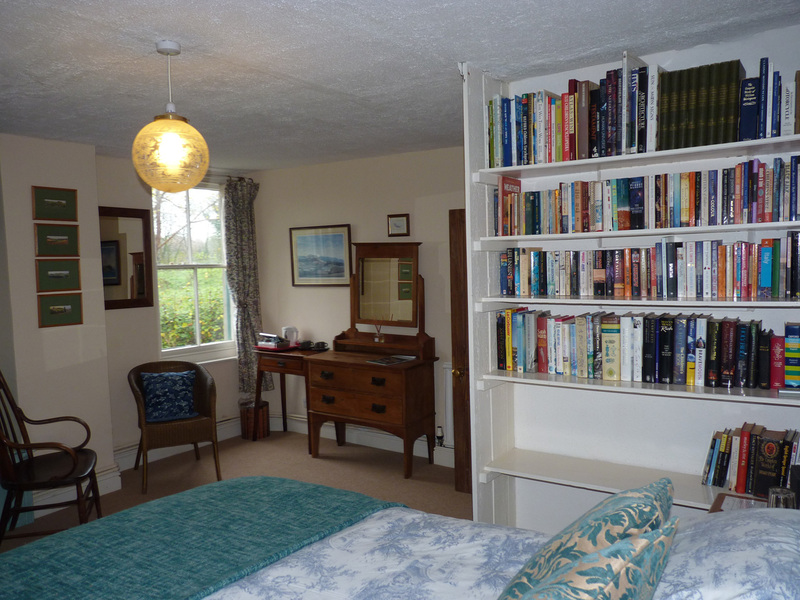 A cooked vegetarian or continental breakfast is served in the front downstairs living/dining area that guests have exclusive use of homemade preserves. There is a choice of teas or coffee and homemade preserves. 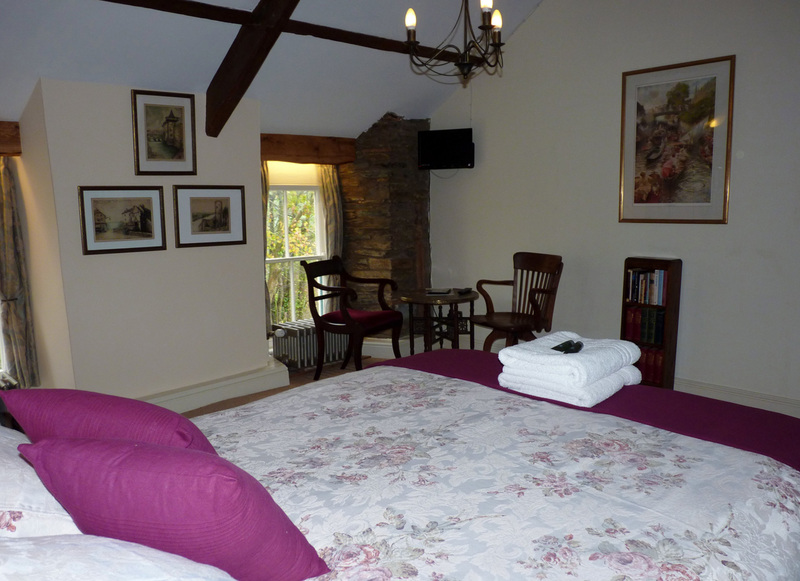 We aim to make your stay as relaxed as possible.